Unfortunately, it appears to be incorrect. Solar Fire gives the Lat and Long as 50N31, 001E59 which is incorrect. AstroConnexions uses the Lat and Long of Coburg which is 50N15 10E57. Which is very close to the actual castle. 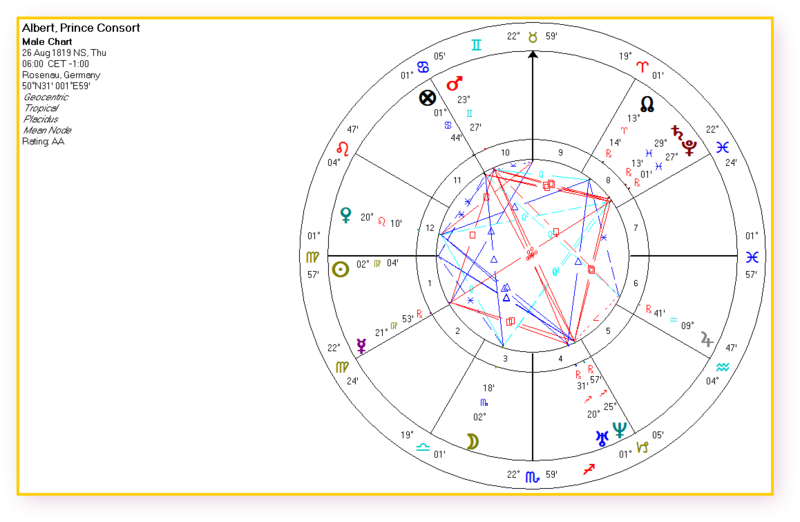 To include Prince Albert and Queen Victoria charts please download this csv file and copy to your AstroConnexions Drop Box app folder. 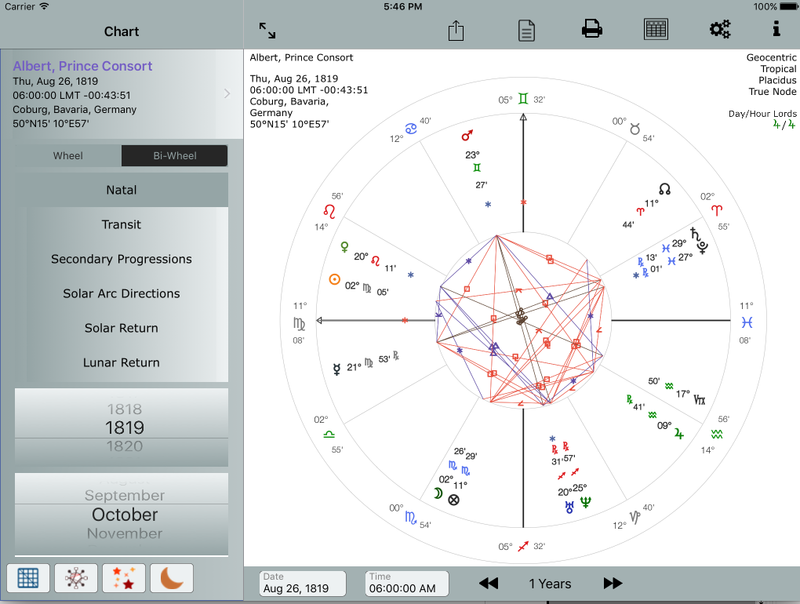 Then use the Import AC Provided (Import AC Charts – from ver 1.95) charts option. Import them into Your Charts. 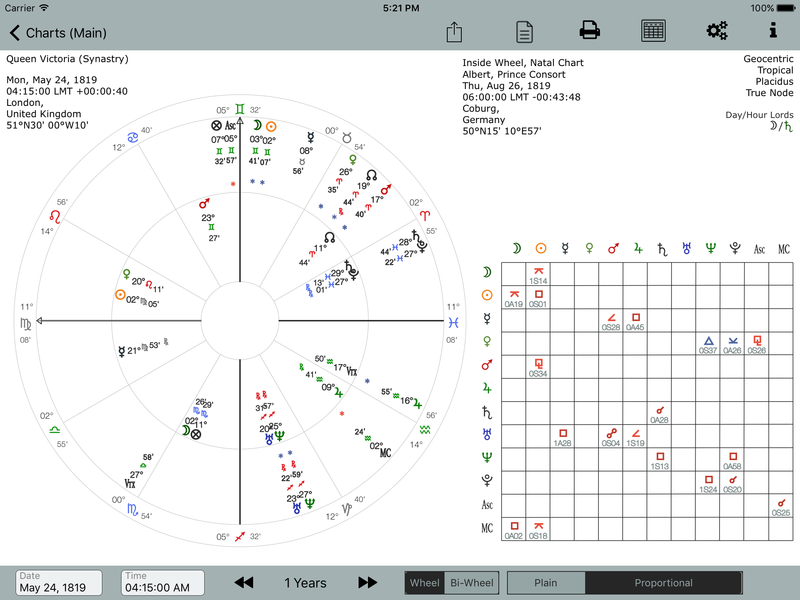 Synastry charts are only available when using the Your Charts database. 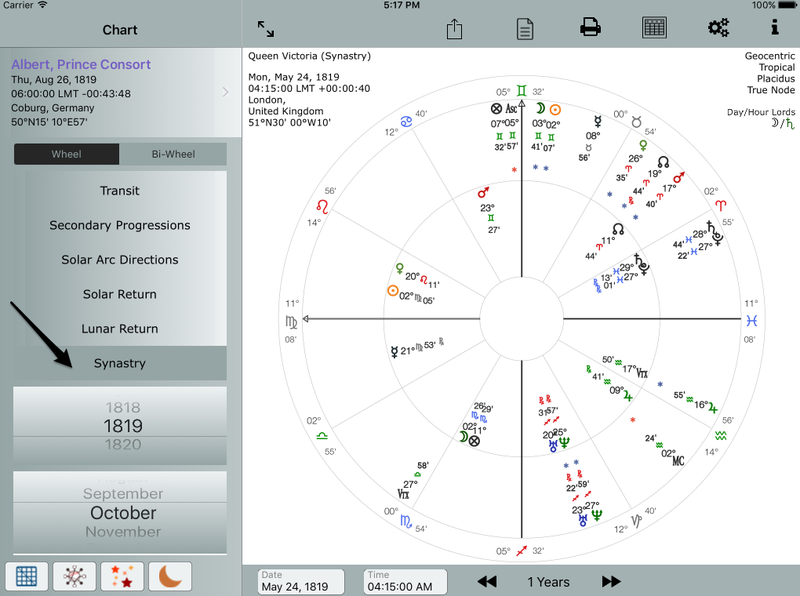 To create the comparison synastry chart tap the Synastry menu button and select both charts. Please give the downloaded file an extension of ACC or acc. Please note composite synastry charts are now available too.